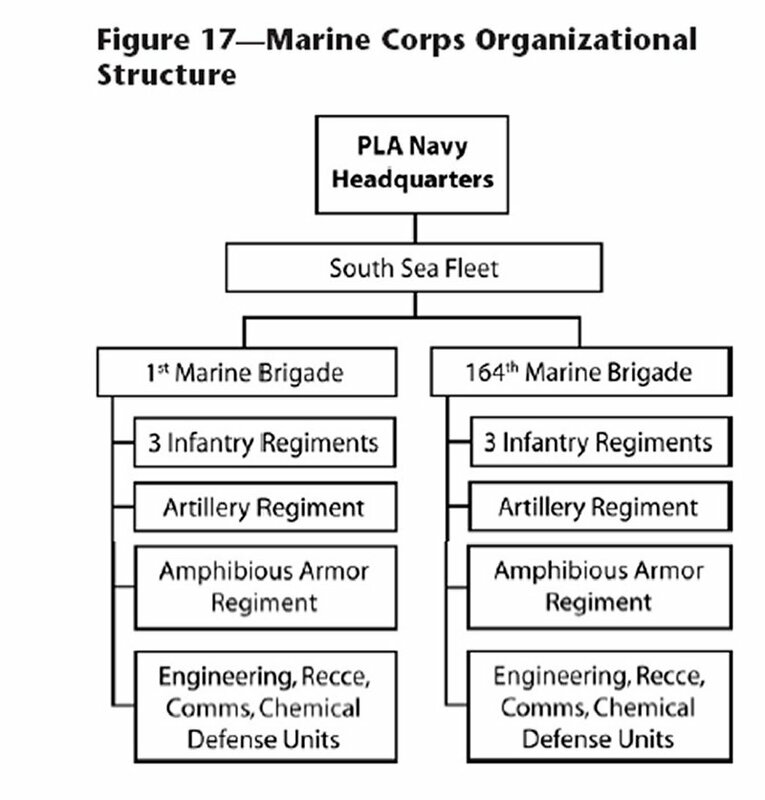 As of 2012, as shown below, the PLAN had two Marine Corps brigades, which are designated the 1st and 164th. Both brigades are subordinate to the South Sea Fleet Headquarters and are located in Zhanjiang, Guangdong Province. Each brigade has three infantry regiments, one artillery regiment, and one amphibious armor regiment. 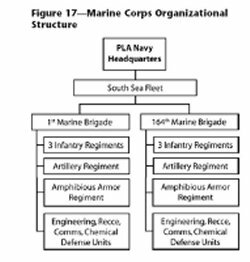 The Marine Corps also consists of engineering, reconnaissance, chemical defense, and communications units, which are battalion- or company-level organizations.